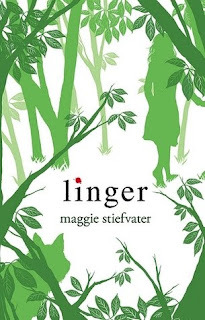 Goodreads Summary: In Maggie Stiefvater's Shiver, Grace and Sam found each other. Now, in Linger, they must fight to be together. For Grace, this means defying her parents and keeping a very dangerous secret about her own well-being. For Sam, this means grappling with his werewolf past . . . and figuring out a way to survive into the future. Add into the mix a new wolf named Cole, whose own past has the potential to destroy the whole pack. And Isabelle, who already lost her brother to the wolves . . . and is nonetheless drawn to Cole. My Take: Ugh! Can we get a true storyline here? I think I may have wasted my time reading this book, so much that I had to skim through a lot of description. I only liked that a new character was introduced. If the ending of this book was the reason this book was supposed to be good, then Maggie Stiefvater messed up by giving up the end in the Prologue. I think the whole book was dragging on, slowly working up to an ending that we already knew would happen. Blah! A good ending would have been that Sam was charged for the murder of Grace. OK! I get it! They are all screwed up mentally so quit with the character whining! That was basically the whole premise of the book and then it ends. Whoop-dee-doo! I would have liked it a lot better if the book was made in a short story. No more than 100 pages.